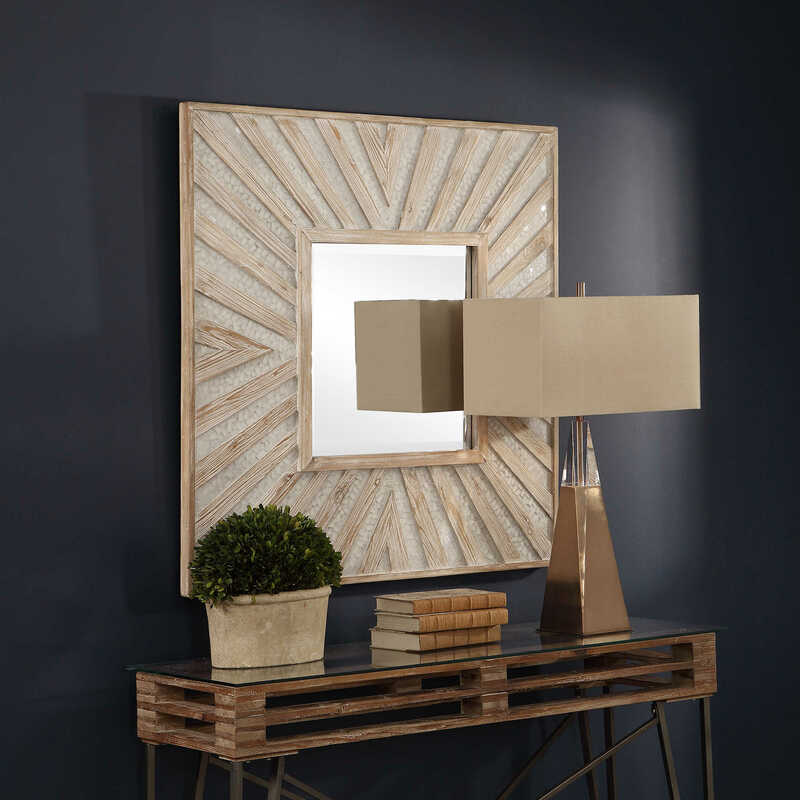 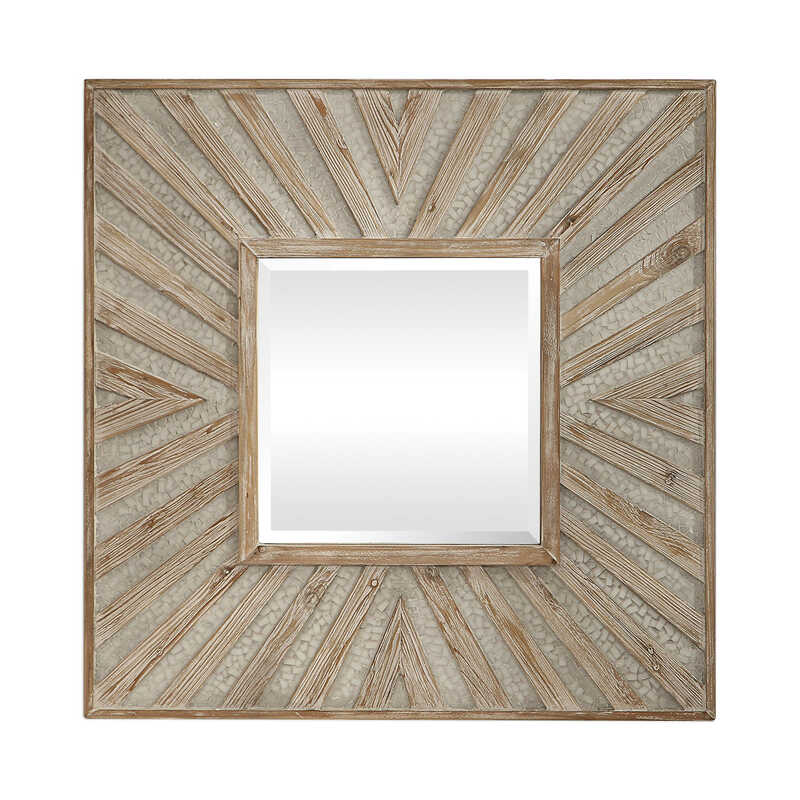 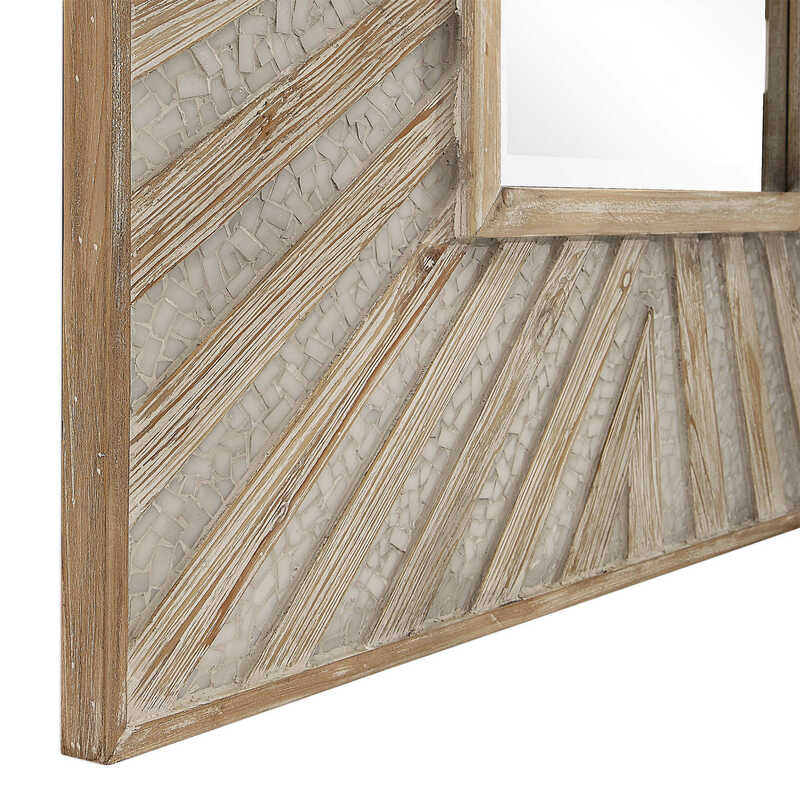 Contemporary in design, this square mirror features a geometric, alternating wood and mosaic ivory stone design. 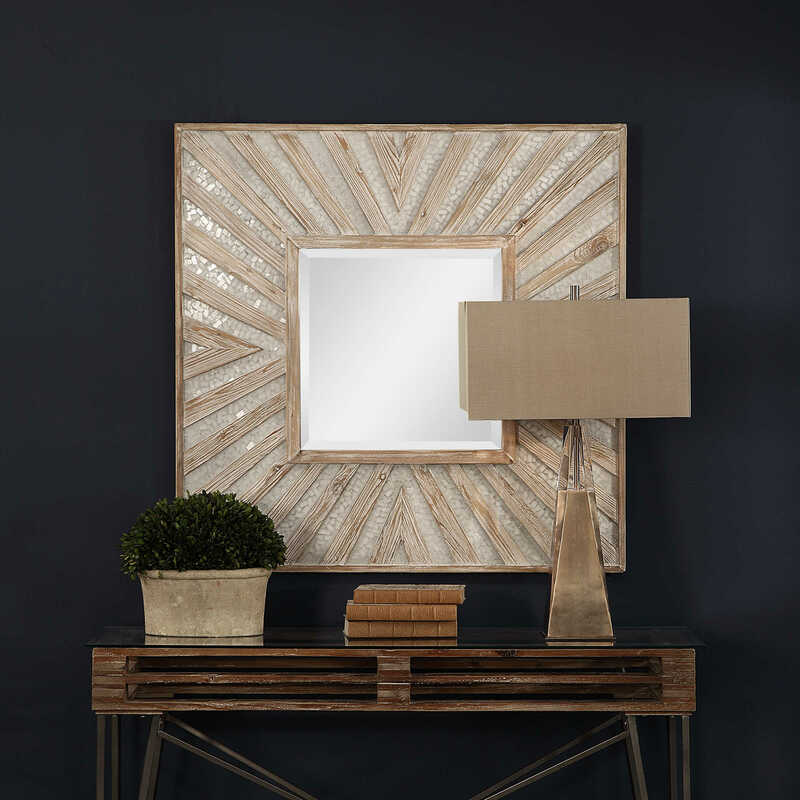 The solid fir wood details are highlighted with a light gray wash with the natural wood grain showing through. 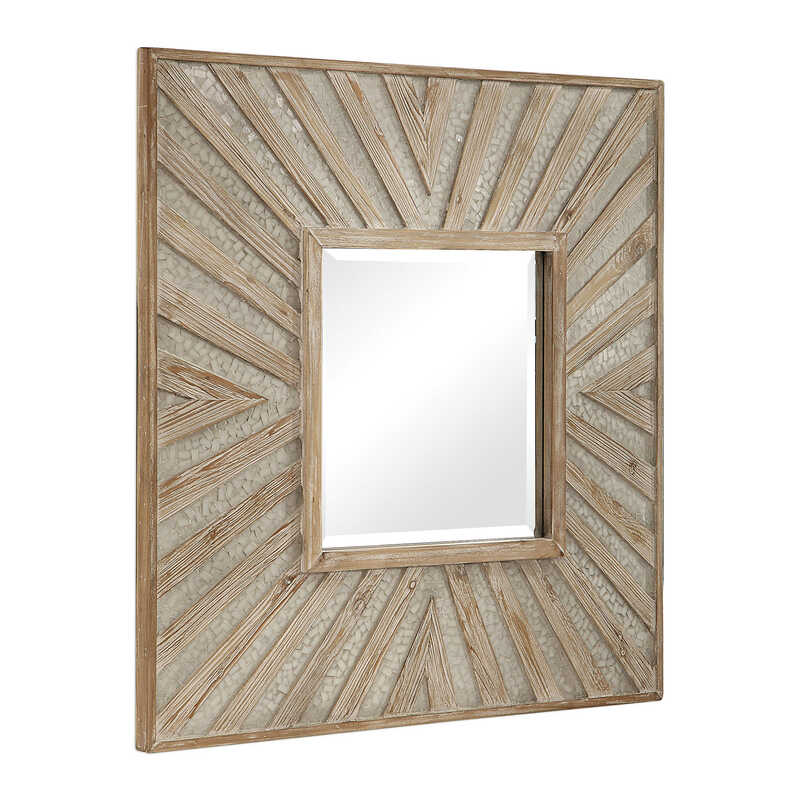 The mirror has a generous 1 1/4" bevel.